Bileeta, as a company with an award-winning Enterprise Resource Planning (ERP) solution, are proud to announce that we has been awarded ISO 9001:2008 certification for Quality Management System. Bileeta pioneered the development of a Cloud-based ERP solution called Entution, which gives the customer an advantage due to the advanced features that it provides at a very competitive price. 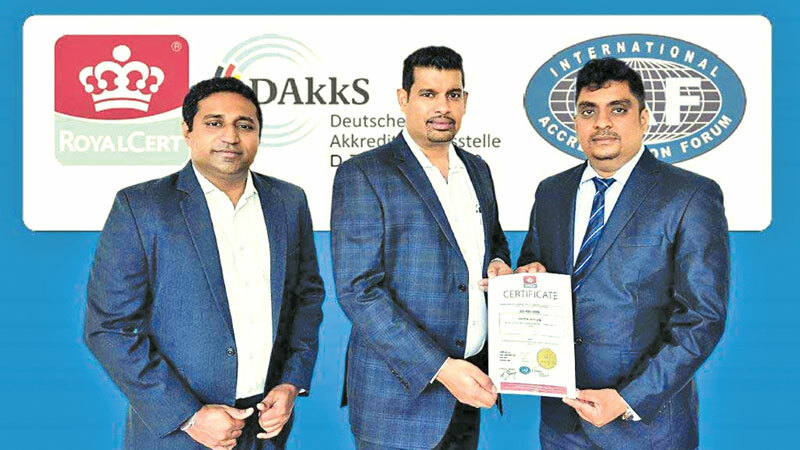 The company was awarded ISO 9001:2008 certification by RoyalCert Lanka for Enterprise Software Development, Implementation and Related Services. The ISO 9001 standard outlines a process approach to implementing and supporting a quality management system with an increased involvement of top management. This certification insists on top management engagement for the setting of Quality Policy, Goals and Objectives. Additionally, this requires continued Management Reviews looking at data from the QMS, while taking actions to ensure that quality goals are met, new goals are set, and the continuous monitoring of improvements achieved. Bileeta, this year, celebrates its seven-year journey, having won numerous awards, both locally and internationally. In 2014 Bileeta was recognised as the Overall Winner with a Gold award at NBQSA for Entution. An award at the Asia Pacific Entrepreneurship Awards brought international fame which has now given the company leverage to take the product overseas. In the same year, CTO, Sanka Weerasinghe, was awarded the People’s Leader in IT award for his contribution towards people management practices. Copyright 2010 - 2017 © Bileeta Pvt., Ltd. All Rights Reserved.